Harry “Choo Choo” Romero is one of the true pioneers of house music. He has been associated as an artist and producer on some of the biggest house records to date. 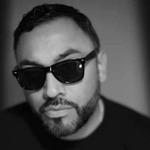 As a member of several production groups including ‘Ministers De La Funk’ and the ‘Dronez’ which both include Subliminal Records Erick Morillo and Jose Nunez, Harry helped shape cutting edge house sounds that continue to this day. Some of his most famous and classic tracks include: “Hazin and Phazin” and the massive “Believe” which featured the mighty Jocelyn Brown. Harry has worked with a whole host of legendary labels including Toolroom, Ovum, Saved, Sondos, Gossip, Strictly Rhythm, Defected, Perfecto and AM:PM. When we approached Harry to do a course, we knew he would provide valuable insight into his production process. But little did we know how amazing this insight would be into his craft and how well it could be translated into a course. Following up his first course, “Building a beat w/ Harry Romero” which released last year and was filmed live on location in Amsterdam at ADE, the feedback was so good, customers were asking for a more from Harry and with more advanced techniques and his complete process. Well, Harry once again over-delivers here with his second course for FaderPro & Toolroom Academy. Our goal at FaderPro is to capture REAL artists making REAL music in THEIR private studios. To give you the feeling like you are actually sitting next to them collaborating WITH them. Harry does this like no other artist. Like his first course, Harry literally starts with a blank Logic project and builds a record from scratch. But this time, he takes it to a full completion and he leaves no step out along the way. This time, from his private home studios in New Jersey, you get a first-hand perspective into how one of the best house producers on the planet makes his music. Harry explains his creative and technical thoughts for each sound. This is NOT a pre-baked session and we did not EDIT out things for time. You see the entire creative process unfold in real time, just as if you were sitting right next to him start to finish. PROJECT INCLUDED: This course not only includes the full project session that Harry builds through the course, but we’ve also included is a “native” LogicPro project that you can open and play with stock logic plug-ins even if you don’t have all the same plug-ins that Harry does. FaderPro would like to thank our boy, Harry “Choo Choo” Romero, the Toolroom academy team and all the customers who wanted to see more. If you haven’t checked out his first course, “Building a Beat w/ Harry Romero” it too is a must-see for any budding music producer!